Copyright © 2019, Benefunder. All Rights Reserved. How Do Soil Fungi Deliver Nutrients to Plants? 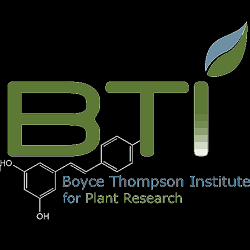 Your contributions will support Dr. Maria Harrison at Boyce Thompson Institute for Plant Research as she continues to study plant symbiosis to effectively deliver phosphorus to plants, using genomics, genetics, cell and molecular biology techniques. Donations will help support research; $30K/year required for supplies, plant growth room, and technology charges and between $50K~$130K annually per researcher. Partner with Dr. Harrison’s lab as they find new ways to enrich our plants! Phosphorous (P) is a major mineral nutrient essential for plant growth and development and consequently for successful crop yield. In many of the world’s agricultural soils, the levels of phosphate available to the plant are low and limit crop production. Currently, this problem is addressed with the application of phosphate fertilizers, but heavy fertilizer input also has environmental costs and limitations as plants’ failure to capture all the phosphate that is applied can contribute to aquatic pollution. 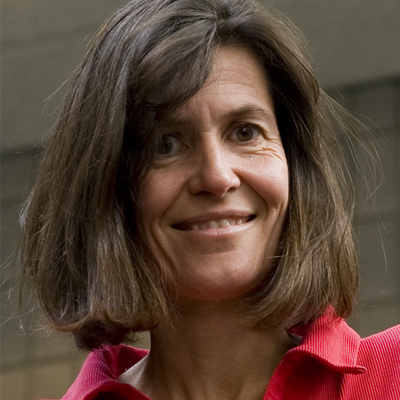 Dr. Maria Harrison, William H. Crocker Professor at Boyce Thompson Institute for Plant Research (located at Cornell University), seeks to increase the efficiency of phosphate fertilizer use by involving natural partnerships with soil microbes such as the arbuscular mycorrhizal (AM) fungi, as one part of the solution for economically and environmentally- sustainable agriculture. All of the major food crops essential for human nutrition are able to form symbioses with AM fungi. These beneficial associations can have a profound effect on plant growth and development as the fungal symbiont captures phosphate from the soil very efficiently and delivers it to the plant. In order to effectively deploy AM symbiosis in agriculture, Dr. Harrison studies how plants and AM fungi develop a stable symbiosis, the mechanisms underlying its development, function and regulation. Dr. Harrison’s robust team of 18 researchers including undergraduate and high school students has made several important discoveries, contributed to the training of many scientists who now have their own labs, and advanced an understanding of what is arguably the world’s most widespread plant-microbe symbiosis. Ultimately, this basic understanding will make it possible to deploy the symbiosis in agriculture more effectively and to breed crops that can benefit maximally from their fungal symbionts. Identifying the plant cellular program for symbiosis: Development of AM symbiosis requires major changes in the biology of the plants root cells to enable them to accommodate the fungal symbiont. In each cell, this includes building a specialized membrane-bound compartment which houses the fungus. Using a combination of genomics, genetics and cell biology approaches, Dr. Harrison has identified several plant genes that are essential for this process. Current projects focus on understanding how these genes function together to achieve cellular reprogramming for symbiosis. Understanding how the fungus delivers phosphate and nitrogen to its plant host: Phosphate and nitrogen are captured from the soil by the fungal hyphae and transferred to the plant cells. This process requires membrane proteins called transporters that reside in the fungal and plant membranes and move the phosphate and nitrogen molecules between the symbionts. Dr. Harrison has identified several of these transporters but there are still more to be discovered. Understanding how these proteins work and how they regulate the flow of phosphate and nitrogen to the plant is a key focus of her current research. Utilizing the symbiosis in agriculture: The AM symbiosis could be used to increase phosphate and potentially nitrogen uptake in crop plants; however, there is much variation in the efficiency of these symbioses and the reasons for these differences are unknown. Dr. Harrison is taking several approaches to determine how and why different AM symbioses differ in their functionality for the plant. One approach includes evaluating variation in symbiosis in many different naturally-occurring plant lines and using genome-wide association mapping to correlate variation in symbiotic function with genotypic variation in the plant. Information generated in these studies can be used to inform crop breeding programs. Understanding the biology of the AM fungal symbionts: The fungi that form AM symbiosis with plants are obligate symbionts – that is, they are entirely dependent on the plant to provide them with carbon and possibly other essential components they need to grow and reproduce. Knowledge of their genomes and of their biology is very limited. Dr. Harrison is using transcriptomics and genomics to gain insight into the biology of these fungi during their interactions with plants. Born in England and later growing up in Malawi, Africa, Dr. Harrison was more interested in insects, birds, and animals than in plants, although she appreciated the beauty of many tropical flowering trees. She was also fascinated by microorganisms and particularly how organisms like parasites could live inside of the cells of another organism. “We did not swim in certain lakes because of schistosoma parasites that could somehow get through our skin.” Interestingly, those parasites also spend part of their life in a snail. “How was this possible?” During her undergraduate studies in microbiology, her interest in the interaction between organisms was rekindled as she learned about Agrobacterium, a microbe that invades plant cells and modifies the plant genome to make the plant cells produce compounds that the Agrobacterium use as a food source. This sparked an interesting in plant-microbe interactions and after her Ph.D. studies which introduced her to plant molecular biology, she undertook postdoctoral research, in Dr. Richard Dixon’s laboratory at the Samuel Roberts Noble Foundation, where she studied plant-pathogen interactions. Later, as an independent principle investigator at The Noble Foundation, she initiated research on arbuscular mycorrhizal (AM) symbiosis, a beneficial plant-fungal association where the fungus lives within the root cells of the plant. Plants and AM fungi not only offer a unique opportunity to study the basic science questions of how one organism lives within the cell of another and how they attain a situation of mutual benefit, but additionally, the symbiotic interaction could be a major benefit to agriculture and the environment through reduction of phosphate fertilizer inputs. These are additional motivating factors that drive Dr. Harrison’s research. Currently, Dr. Harrison is located at the Boyce Thompson Institute for Plant Research situated on the Cornell University campus where her team includes researchers at all stages of their careers, from high school to postdoctoral associates. Dr. Harrison is also active in many other aspects of the scientific community including an involvement in scientific publishing through work on the editorial boards of Annual Reviews of Plant Biology, Current Opinion in Plant Biology and a new open-access scientific journal, eLife. US Patent No. 7,557,265: “Plant Phytase Genes and Methods of Use”. Z. Wang and M.J. Harrison, Noble Foundation. US Patent No. 7,417,181: “Plants with Increased Phosphorus Uptake”. US Patent No. 7,056,743: “MtHP Promoter Element”. US Patent No. 121257,276: “Root-specific phosphate transporter promoters”. Noble Foundation. M. J. Harrison et al. International Patent Appl. No. 60/669,318: “Plant Phytase Genes and Methods of Use”. Noble Foundation. Z. Wang and M.J. Harrison.